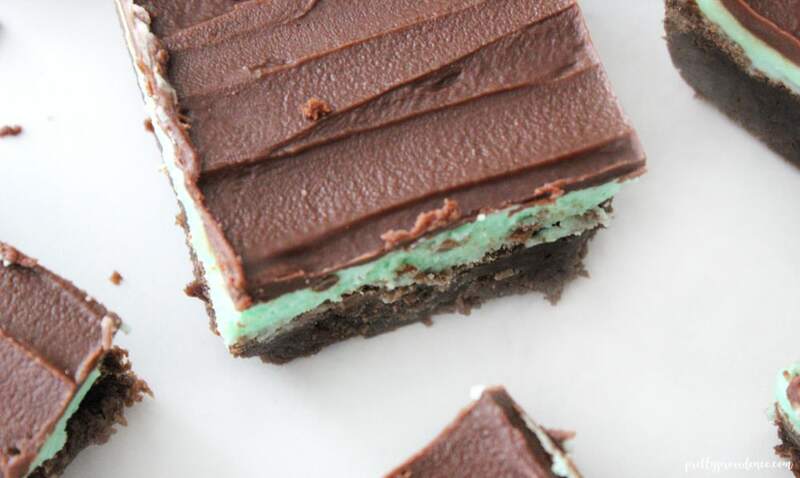 The best chocolate mint brownies! 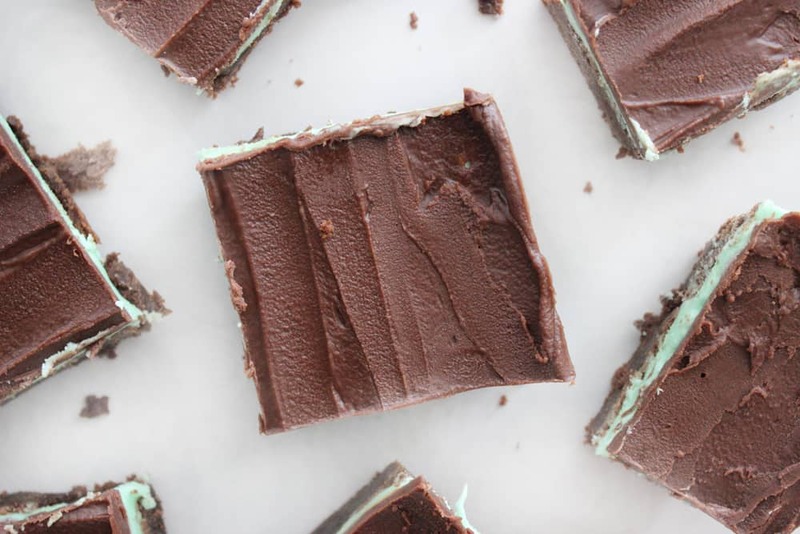 Whether for Christmas, St. Patrick’s Day, or just for everyday chocolate and mint lovers, these brownies can’t be beat! Happy Monday everybody!! Please tell me that I’m not the only one who is going to need something über delicious if I am going to survive this week! It is safe to say that the “terrible” twos have arrived at the Bailey house and we are struggling! 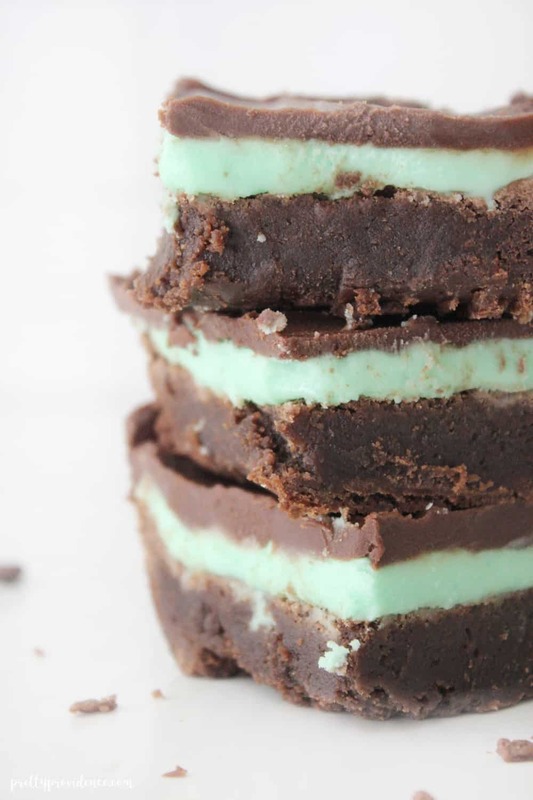 These mint brownies though, they will make even the worst day better, and that is a promise! These were kind of always the “special occasion” brownie at our house growing up. My mom always made these on Christmas Eve, for baby showers, for St. Patrick’s Day, or really any big party or event because they are sure to impress. 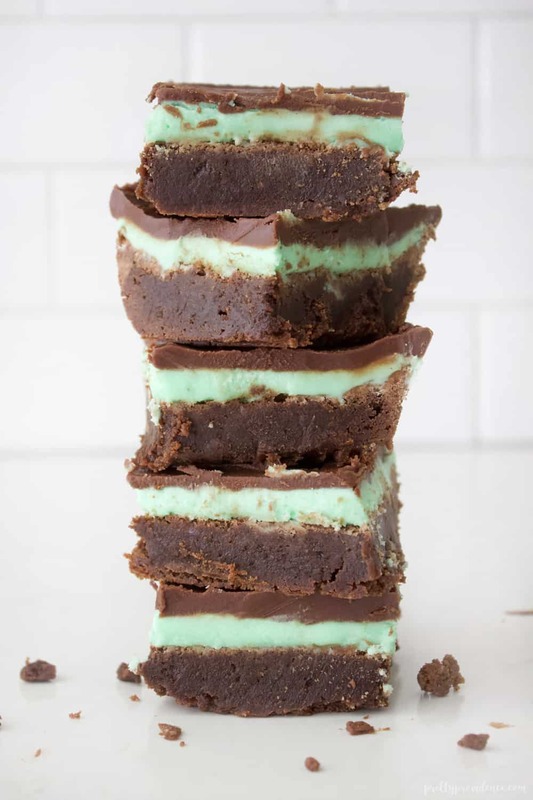 I love the marriage of chocolate and mint and these chocolate mint brownies take it to a whole other level. Suffice it to say, you will love them. The end. The best chocolate mint brownies! 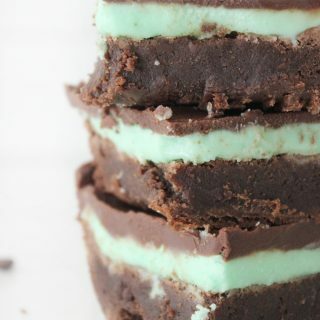 Whether for Christmas, St. Patrick's Day, or just for everyday chocolate and mint lovers, these brownies can't be beat! Crust: Melt one cup butter and four oz. or unsweetened chocolate together and cool. In a separate bowl, beat your eggs and sugar together until frothy. Add melted chocolate mixture, blending well. Stir in 1 tsp. Peppermint extract and flour. 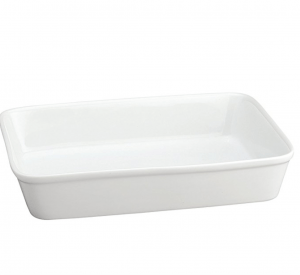 Spread into a greased 9X13 pan. Bake at 350 degrees for 20-25 min. Filling: Cream 6 TBS butter and powder sugar together, adding milk as needed. Add 1/8 tsp. peppermint extract, beating to a smooth consistency. Add food coloring if desired. Spread over cooled crust, and allow to set. You may want to refrigerate until firm. Glaze: Melt Chocolate chips with last 6 TBS butter on low heat over stove or by 30 second intervals in the microwave. Stir constantly. Cool slightly and spread or drizzle on top of frosting. Refrigerate until set. Once set you can cut them into bars, but I like to keep them refrigerated until serving. Enjoy! 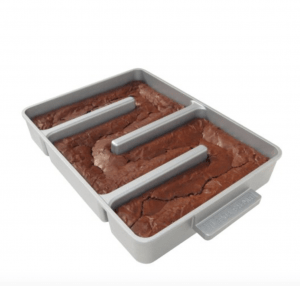 I could eat an entire pan of these brownies! Sooooo yum! These are turning out very weird for me – the brownie part. Took way longer than 20-25 minutes and still seem very un-done. Also the top is looking very frothy, meringue looking. No leavening, like baking soda or powder?? Hmm, that is really weird? 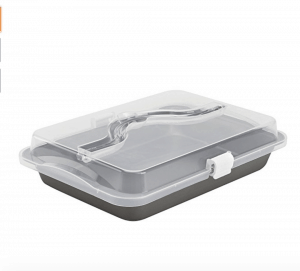 Are you using a convection oven? Because when I have made them in convection ovens they have taken longer. The brownies are a little bit “crustier” which is on purpose so the other layers come on easy. Let me know how they come out! Haha, I was going to say these reminded me of the brownies at BYU too. I love them so I’ll have to give these a try as they look equally yummy! You are welcome! It is definitely the perfect cheat! I hate wasting a cheat on something sub par, but these are amazing!! I call them “BYU Brownies” too (Go Cougs!) And right now I am super annoyed that I have EVERY ingredient but one :( Thanks for sharing your recipe! pinning! I looove chocolate mint anything. holy heck these look yummy. You are so welcome!! They are my favorites too! This recipe is even better than the ones at BYU!